Excellent customer service. I’ve had Erie for my business before but with another agency. These guys were fast and readily available to answer all my questions. We recently switched to AllChoice after being a loyal USAA customer. I asked Jack to price me some options for our new driver and was shocked to find out he could save us over $700 per year by switching, WITH more coverage! Plus I love having a local agent to help me out. Highly recommend. I have used AllChoice since I started investing in real estate. I use them for my personal home as well. They are an amazing company. Very professional and still have the hometown feel! I have know and interacted with ALLCHOICE Insurance for over 5 Years. Extremely honest and trust worthy and will show you what your best option is even if its with some one else. I wish there was a 6 Star option. Very responsive and helpful when sorting out solutions to questions/issues. My family has been with AllChoice Insurance since they began! Love the friendly service. I recently received a quick response on getting insurance for our golf cart to take to the beach. Thank you! We have been with Allchoice for several years now, and they treat us as well today as they did the first day I called to inquire about coverage. I would highly recommend them. Bill is always there to offer his best advice. That is why I have been with him for over 30 years. My family switched auto and home from Farm Bureau to Allchoice and not only saved money, we increased our coverage to better protect our family! Jack was wonderful to work with! He is very thorough and detailed oriented. I would recommend Jack and Allchoice to everyone. I have received quality service and advice from my ALLCHOICE staff. Special thanks to Kristie for always giving me quotes in a timely manner and taking care of all my questions. She was able to save my family money by offering to quote different coverages on my home and auto policies. Her knowledge of the insurance business has been such a huge help to me. She takes the time to break down the coverage and explain things to me. Thanks for everything Kristie & ALLCHOICE!!! Once we talked with Jack Wingate about our insurance needs, ALLCHOICE was an EASY choice. He was very courteous, thorough, and presented us with many options. Not only did we get excellent coverage (auto, home, and personal property), he saved over several hundred dollars a year. Jack was customer friendly before, during and after the getting our business.I highly recommend ALLCHOICE for all of your insurance needs! Jack and Company have been easy to use and a great insurance company to help me. Jack was willing to give me a good amount of time during the busyness of Hurricane Florence aftermath, and answered all my questions patiently and thoroughly. Very professional and helpful. Thank you Kristie for always serving my needs and my requests efficiently and immediately. I know I am constantly gathering quotes from you and you are always so kind to assist me. Thank you for also saving me hundreds per year on my home and auto by simply making a change in my coverage! What a fantastic experience. From the first call regarding a new home and auto policy, to meeting with the insurance agent, this was an exceptional experience.Mr. Reese was very knowledgeable, thorough and concerned about what I needed as a prospective client.Mr. Brower was very knowledgeable and patiently explained all of the details of the policy. Was receptive to questions and concerns. This was an overall excellent experience. Jack and Kristie have been great to work with. Very responsive for my insurance needs for homes I own in NC as rentals. I'm in California and they make it easy! Good rates too. I highly recommend ALLCHOICE for your insurance needs! I've been with Jack and ALLCHOICE for years. They've consistently provided excellent and timely customer service - from simple address changes, to changing vehicles covered, to filing home and vehicle claims. I've not once thought of switching insurance companies, and I highly recommend them. I cannot begin to describe the wonderful experience I had with obtaining Life Insurance through ALLCHOICE and Jack Wingate. He took, what felt like, and overwhelmingly complicated process and made it simple, easy to understand, and the perfect fit for me and my family. I am so happy to be a part of the ALLCHOICE customer family. Really appreciated the extra time and effort to help organize my policy and inform me of my options. Thank you. ALLCHOICE covers insurance for all companies, including technology, manufacturing, property management, contractors, small business and non-profits.  ALLCHOICE covers various insurance policies with the ability to provide competitive rates and specialized customer service for home, life and automotive needs. ALLCHOICE Insurance is one of the leading Multi-Line Independent Insurance Agencies in North Carolina, offering auto insurance, homeowners insurance, commercial insurance, health insurance, life insurance, long term care insurance, and various financial alternatives. Since our beginning, ALLCHOICE has taken great pride in the Risk Management, Service, and Pricing we provide to our customers. Our customers are the prime focus of ALLCHOICE Insurance. Every facet of our business is constantly examined for ways to bring greater ease, comfort, and convenience to our customers. It is that drive and determination that led ALLCHOICE to re-vamp allchoiceinsurance.com. WHAT CAN ALLCHOICE INSURANCE & ALLCHOICEINSURANCE.COM DO FOR YOU? More importantly, allchoiceinsurance.com provides a site built to give the North Carolina Insurance Consumers a better understanding North Carolina Insurance Coverages including, NC Auto Insurance, NC Homeowner’s Insurance, NC Commercial Insurance, NC Health Insurance, and many more Insurance Coverages and Policies available to North Carolina Residents. At ALLCHOICE Insurance, we have sought after and obtained some of the most respected and financially stable Insurance Carriers in the Industry. We do this so you don’t have to! At ALLCHOICE Insurance, you have One Trusted Advisor to handle all of your insurance needs! ALLCHOICE Insurance is one of the leading Multi-Line Independent Insurance Agencies in North Carolina, offering auto insurance, homeowners insurance, commercial insurance, life insurance, long-term care insurance, and various financial alternatives. FOR YOUR PERSONALIZED NC INSURANCE QUOTE, CALL US TODAY AT 844.540.0463.